I will have the polishes each getting their own review. I just want to make sure each polish gets the appropriate attention! 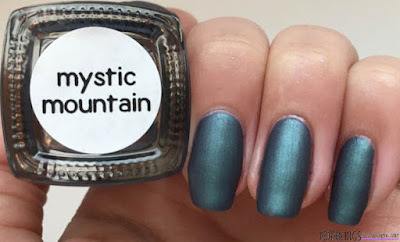 First up, I have Mystic Mountain. Mystic Mountain - a strong multichrome, with no shimmer, that shifts in color from green, to blue-purple, to red. The bottle macro is a very confusing picture, it makes me think of a strange outer-space photo from some crazy telescope. Macro! I love how the shimmer flamed up where the lighting hit it, and how you can see the red/purple on the sides of my nail. 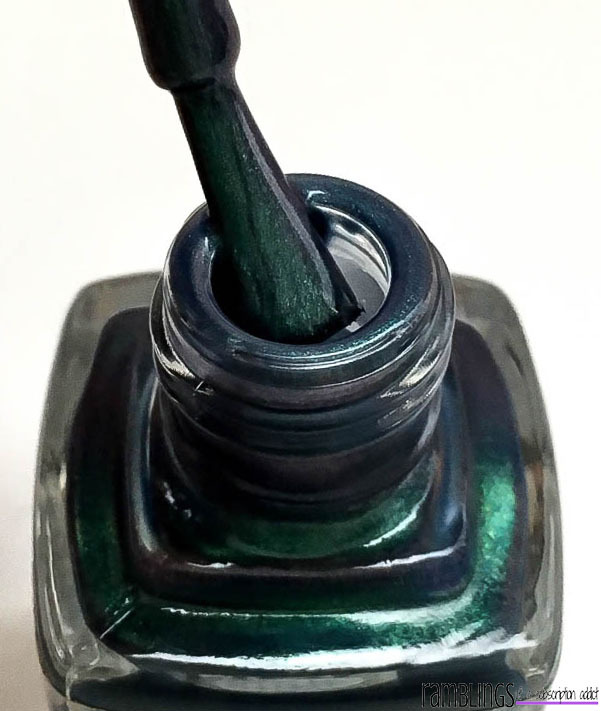 Multichromes have slowly become a polish finish that I am comfortable with using. I like how they change before my eyes and love feeling almost like a chameleon. 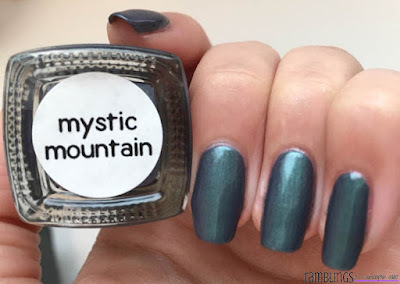 Mystic Mountain applied very smoothly and only needed two coats to become opaque! Look at the shifty! 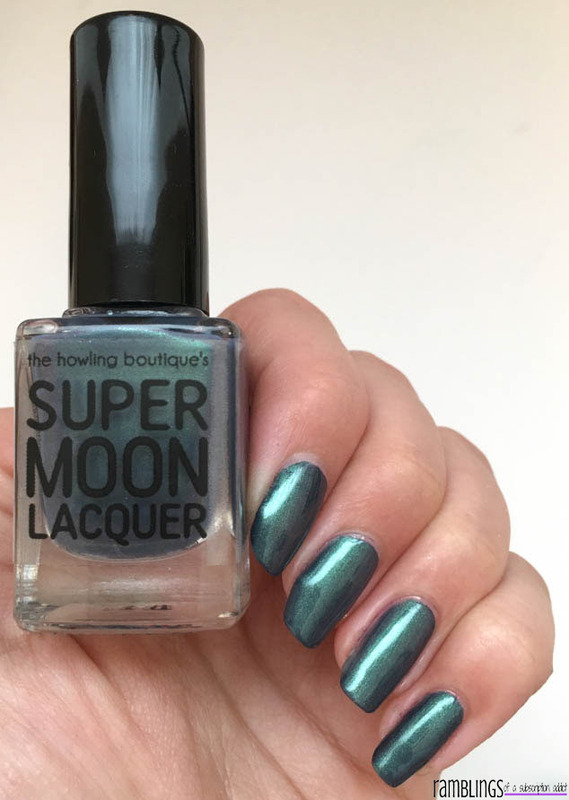 It's like having all of the colors in one polish! 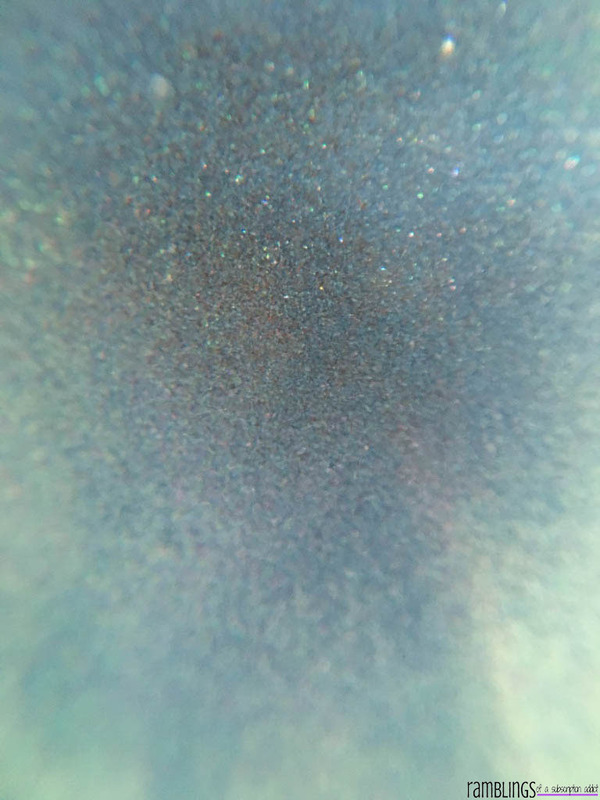 I love how it pulls green and blue in the same lighting with just a slight angle change. Matte, the flame disappears and the change is more subdued. 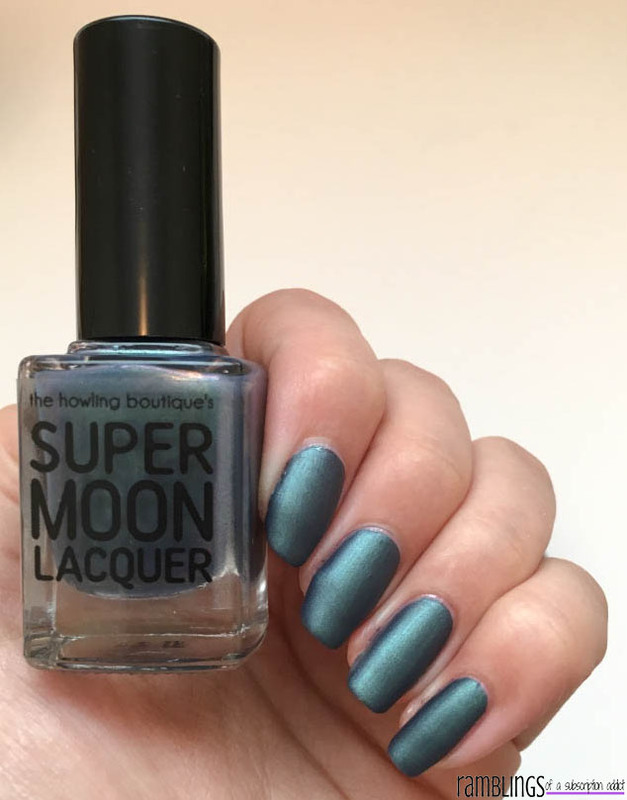 I loved how smooth this is and even though there is the slightest metallic finish, there were no issues with streaks! It's also a very smooth polish, so the top coats were just for effect rather than necessity. I absolutely loved this polish, it's such a fun polish and perfect for any time of the year. I love how it shines when it's glossy and how defined it looks when matte, so it's great regardless of your preferences!